In Mexico and throughout the Mexican culture music is used daily for the purposes of storytelling and entertainment. Throughout the movie, there are strong parallels to the songs being played and sung to the events that Carmela is experiencing. Because music and musical performance is Caramel’s full time job, it has become an overarching aspect of his life that allows him to express his emotions, thoughts, and daily events he is experiencing. The story begins with Carmela, a near sixty year old musician living in San Francisco working s a mariachi performer with his partner Arturo. Carmela has a wife and two daughters named Juanita and Lupus living in Salvatore, Mexico whom he calls often. Additionally Carmela has a mother living in a healthcare facility in Mexico who had amputations due to her diabetes, a disease that Carmela has as well. Carmela discusses how he came to America illegally, and the process that the coyotes use to travel people across the border. He soon decides that he needs to go back to Mexico to be with his family and be with his sick mother. While he is in Mexico he continues to work as a musician, but the pay is drastically lower Han it was when he was in San Francisco. Carmela must work additional jobs to obtain the same amount of money he was making in the United States, especially with his friend Arturo in rehab for his alcoholism. Throughout the time Carmela is in Mexico and performing his mother passes away, and he sings at the funeral about his mother’s life and death. Soon Caramel’s older daughter Juanita turns 15 and is getting ready for a traditional Acquaintance. Unfortunately, due to the lack of healthcare and insurance for Caramel’s mother he had to use all of his savings for the party on his mothers funeral and end of life care. When his friend, Arturo, is released from rehab Carmela is unsure whether he is going to return to the United States. Although he wants to be back in the United States where he can make more money, he ultimately is not ready to leave his family again and struggles with the process of how he could return whether it be legally or illegally. During the time Carmela spends in both the United States and Mexico he faces numerous challenges on a daily basis. While in the United States Carmela has to deal with living so far away from his family. If something were to append to his family at home it is possible he would not be able to help them or intervene. Also, he has to rely solely on his wife to take care of the children and his mother. Another challenge Carmela faces in the United States is discrimination. While in the airport trying to return to Mexico Carmela is pulled off to the side and is asked multiple questions regarding security. He is asked whether or not he packed his own luggage and if he is attempting to smuggle items for someone else. All of these questions came unprovoked as Carmela was acting completely normal and was just trying to get through the airport armorial. It can be assumed that a white person would not be asked the same questions unless acting very suspiciously. While in the United States Carmela faces loneliness and discrimination but generally does not have as hard a time making money unlike in Mexico. During Caramel’s time living in San Francisco he could make anywhere between fifty to one hundred dollars a night. Unlike San Francisco, it would sometimes take Carmela two weeks to make the same amount working in Mexico. Also, because of this shortage of money while living in Mexico Carmela has to sometimes take up a second job of selling snow cones. Arturo was an alcoholic. In the United States and Mexico Carmela would sometimes not be able to work because Arturo was drunk and could not perform that night. Rotator’s alcoholism escalates to the point where he is arrested and sent to rehab forcing Carmela to work gig’s without Arturo. Another problem Carmela faces in both Mexico and the United States is poor housing conditions. While living in the United States Carmela lives as a tenant in a run down building alone and usually sleeps under a pile of junk. In Mexico he lives with his family in small house in poor conditions that does not even appear to have a door. Also, another situation Carmela faces in both Mexico and the United States is his own declining health and that of his mother’s. Carmela is almost sixty years old, has diabetes, and has a leg in poor condition. If he were to lose his leg he would no longer be able to work and his family would starve. He usually has to wrap his leg and pray that nothing terrible happens to it as he cannot afford to see a doctor. Also, his mother is very old and is in poor health as well; she has lost parts of both of her legs and is visually and hearing impaired. Carmela cannot afford to end her to see a doctor either and she ultimately ends up passing away due to her poor health. The main problem Carmela faces in both Mexico and the United States is his struggle for money. Although during his time in the United States he makes more money than he does in Mexico, he still does not make enough to bring his family or himself out of poor living conditions. The problem is the same while in Mexico but even worse as he makes even less money. In both the United States and Mexico he has to take up other jobs to live such as car washing in the United states and making snow cones in Mexico. Overall, Carmela faces numerous unique challenges in both the United States and Mexico as well as multiple overarching problems in both places. During Caramel’s time in Mexico he performs in numerous settings that provide an insight to the place music has in Mexican culture and how vastly different it is than in the United States. One of these settings is around bars, restaurants, and general social gathering places. Many people in Mexico will ask Carmela to play a song while they are chatting with friends over a dinner or while getting to know someone at a bar. This does to take place as regularly in the United States and most people would not hire someone to sing to the person they are interested in that they just met at a bar. This shows that music in Mexican culture is more intertwined with what would be considered more private affairs in the United States. Also, the main setting that provides insight into music’s place in Mexican culture is during the funeral of Caramel’s mother. During the funeral the casket is carried through the middle of the street as Carmela walks along with it, singing about the death of his mother as friends and family walk behind the casket. In the United States most funerals are very quiet and silence is seen as a way to pay respect, thus singing would be seen as out of place at a traditional funeral in the United States. Overall, these situations show that music in Mexican culture explicitly states emotion and respect for loved ones. Lyrics in music in Mexican culture express emotions and events, explicitly stating the deep feelings related to daily life. Throughout the movie distinct parallels are drawn between the events in Escarole’s life and the songs that he is performing in public. Some examples include: him singing about is mother’s death during her funeral, singing about his daughter and her 15th birthday at her acquaintance, and songs about his friend Rotator’s dependency to alcohol when he is released from rehab. All of these are examples of how the filmmakers show the strong connection to Caramel’s work and performance, in general Mexican music and culture, and to the events during the time of filming. Carmela experiences many hardships throughout his lifetime including: discrimination, lack of money and health care, poor living conditions, health problems, and distance from his family members. 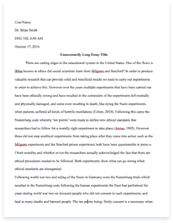 At Ivysea you will find a wide variety of top-notch essay and term paper samples on any possible topics absolutely for free. Want to add some juice to your work? No problem! Here you will also find the best quotations, synonyms and word definitions to make your research paper well-formatted and your essay highly evaluated.